APPLICATIONS FOR 2019-20 open through july 24, 2019.
interested in hosting an Ally? WhO CAN BE A PUBLIC ALLY? to apply. Applications are reviewed on a rolling basis; applicants are encouraged to apply early for priority consideration. WHAT DOES BALTIMORE CORPS LOOK FOR IN A PUBLIC ALLY? Baltimore Corps is seeking 25 Public Allies who are as dynamic as our city. All of our Allies have a passion for social impact. Because Allies are deployed to work with leading social entrepreneurs and cause leaders, Baltimore Corps strives to identify individuals who can excel both as members of a team and individually. We recruit a highly diverse pool of candidates committed to our city. We are looking for candidates with a passion for impact work in Baltimore, as well as a commitment to our values of sector effectiveness and racial justice and equity, and the Public Allies six core values of diversity /inclusion, collaboration, continuous learning, integrity, building on assets, and innovation. We want our Allies to learn, grow, and lead in diverse and challenging environments. WHAT AM I COMMITTING TO THROUGH THE PUBLIC ALLIES PROGRAM? Public Allies are expected to commit to and complete an intensive 10-month program, requiring a minimum of 1,700 hours of service. 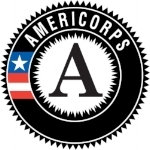 In addition to engaging in challenging and rewarding full-time work, Allies also commit to Baltimore Corps programming (including orientation, professional development workshops, service projects, and retreats), and in one-to-one check-ins, needs-based mentoring, race and equity trainings, and quarterly 360-degree reviews. Part-time jobs, taking classes, and other activities are difficult to manage during the program year. Program commitment subject to change. Apprenticeship: Allies are matched with a nonprofit organization or public agency in Baltimore City where they work to address critical social issues. Leadership Development Training: Allies attend weekly trainings and occasional retreats designed to teach a variety of personal and professional skills. Allies receive critical feedback, reflection, and personal coaching toward individual performance and professional goals. Team Service Projects: Allies design, implement and evaluate Team Service Projects in collaboration with a small group of fellow Allies that use an asset based community development approach. WHAT BENEFITS DO ALLIES RECEIVE? Allies who are selected invest 10 months in nonprofit and community-based organizations, while receiving valuable leadership and professional training. Allies are eligible to receive a monthly stipend, access to health care and child care, and a monetary education award after completing the program to pay back student loans or pay for future education. Most AmeriCorps members also are eligible for forbearance or deferment of student loans. Additionally, Allies develop life and career leadership skills, as well as a network of diverse, passionate community leaders. WHAT KINDS OF ORGANIZATIONS CAN I BE PLACED WITH? Our partner organizations are focused on generating social impact in Baltimore City, and include leaders in government, nonprofits, and private sector social enterprises, with focus areas including health, housing, arts, philanthropy, and civic engagement. Just as there is no one persona that describes our Allies, Baltimore Corps’ partner organizations are equally unique and considered on a case-by-case basis. what happens after the ALLY YEAR ends? This is largely up to you; our main goal is to have you remain in Baltimore’s social impact sector. While there is no obligation to continue beyond the end of the Public Allies program, our aim is to continue recruiting superb talent and making fruitful connections. Baltimore Corps’ staff, alumni, and extended network work personally with Allies, helping them identify opportunities through our Fellowship, Place for Purpose, and / or Elevation Awards programs. Public Allies Maryland is a program of Baltimore Corps and a proud member of the AmeriCorps national service network. Our program is made possible through funding of the Corporation for National and Community Service.